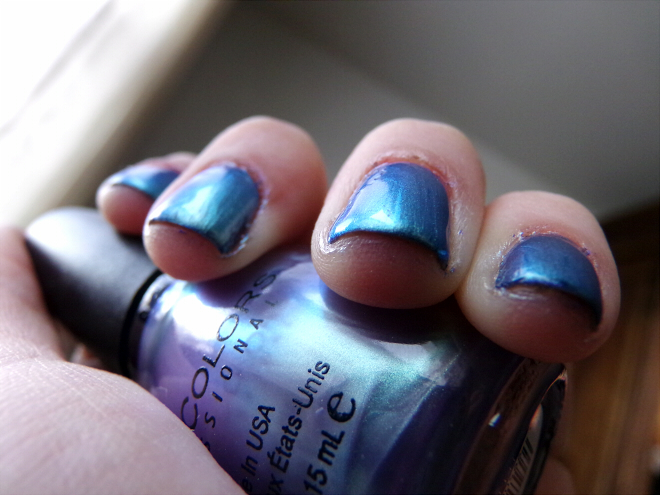 Okay okay, so you start off with two coats of Nails Inc. Primrose Park, right? 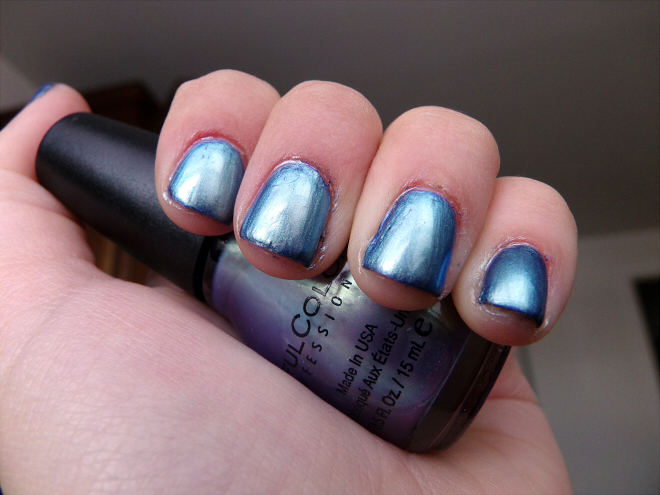 Then you add one coat of Sinful Colors Let Me Go. That’s when the magic happens. 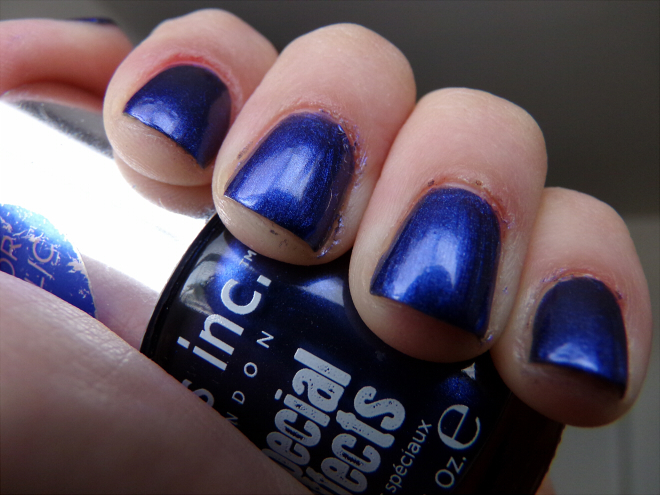 Though Let Me Go shifts between green and lavender in the bottle, it turns my midnight blue polish all frosty… which I appreciate, since I don’t have another color even close to this! 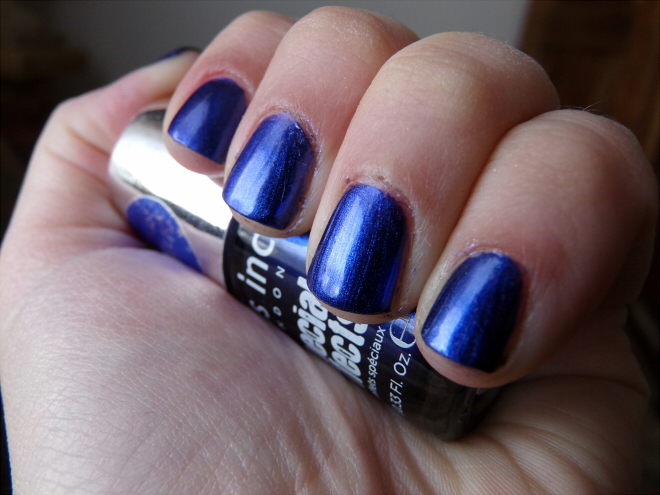 It reminds me of ILNP My Little Glacier, actually – not a dupe by any means, but similar. I nicked this a couple of times, which on top of my hasty topcoat application is the only reason for the textural inconsistencies. 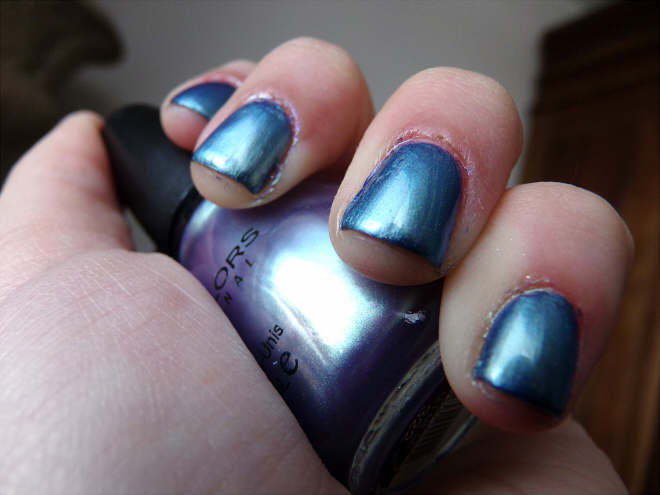 Sinful Colors polishes tend to bubble on me most of the time, but Let Me Go didn’t give me any such problems. 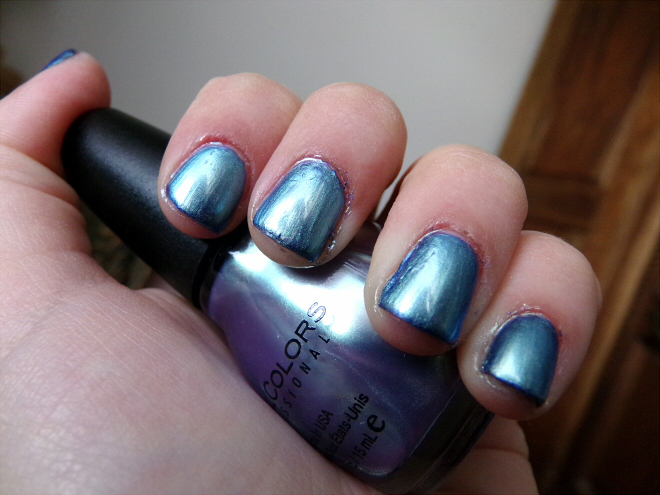 It also made my polish duochrome! It shifts between icy blue and a bit of a deeper, richer shade. Nothing drastic, but still pretty fun. I imagine that Let Me Go would look closer to the color in the bottle and keep its green color shift if it was layered over a lavender or a periwinkle. Are you ready for a brand you’ve probably not gotten the chance to encounter? This is W.i.n Cosmetics #13. I’ve only ever seen this brand in one store and I can’t find it online anywhere. It eludes me. It’s a shame because their jellies are bangin’. This is two coats with no topcoat. Look how flippin’ shiny and perfect this looks!! Of course, I couldn’t leave it alone—I gave it some frosted tips, because it’s that time of year, I suppose! This is Nails Inc. Winter Mews from their Crushed Diamonds line. I quite liked this mani. It didn’t wear well at all though—I had such bad tip wear by the end of the next day that I ended up removing it. Is it because jellies generally have bad wear time? I wouldn’t be surprised. I’ll be sure to try more jellies and more W.i.n, though.